Buy Comic Book Key Issues: Would You Rather Own THIS or THAT?! Before You Buy Comic Book Key Issues, Think About This BIG IDEA! Don't blindly buy comic book key issues as a potential investment, or "living the dream", before you consider what ELSE you could invest the money into. Watch the video, or skip down to read the article in full. THIS or THAT presents... the alternative to investing in the key issue you want with one of our alternative ideas to park your money. Click any image to search for a copy! Buy Comic Book Key Issues THIS or THAT? This one blew our mind. 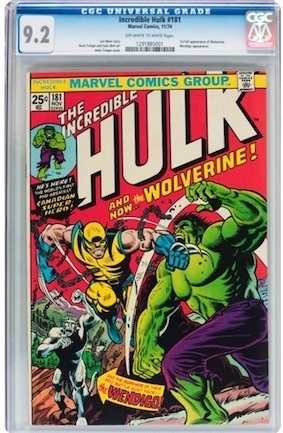 You can step down just ONE grade in your Hulk #181, and add a Hulk #180 9.4. There will be enough change to take your wife out for dinner! 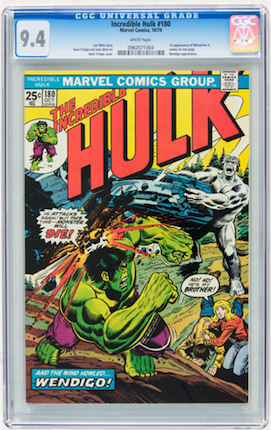 A high-grade Incredible Hulk #181 is always desirable, but is your $5,000 better spent with a slightly lesser example AND a copy of Incredible Hulk #180? You can barely tell the difference between a good 9.2 and a 9.4. 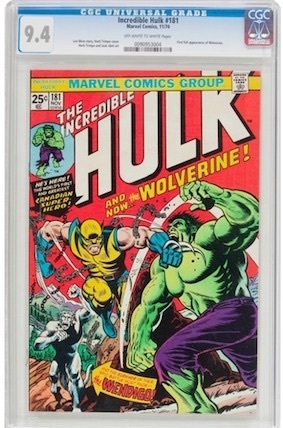 Incredible Hulk #181 is a great investment, but wouldn't you rather have a high-grade #180 as well, for the same money? 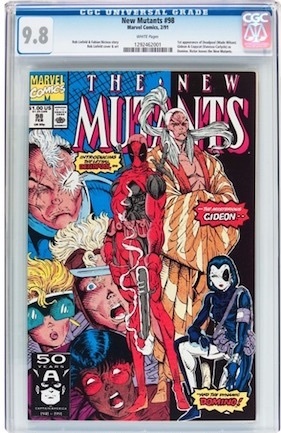 New Mutants #98 is common as dirt. 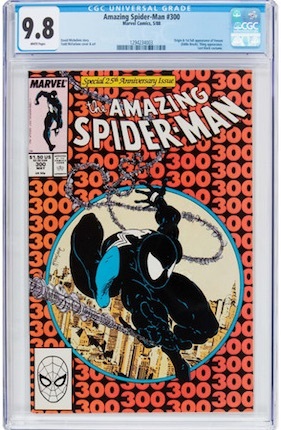 There are well over TWO THOUSAND examples graded CGC 9.8. Think again! Park that cash in a true Marvel key issue. True, a CGC 1.8 is never a beauty, but a well-chosen example will have good eye appeal and cost you the same as that 1990 New Mutants #98. Wouldn't you rather own an Avengers #1? While you can "only" afford an Avengers #1 in 1.8, that can be a very respectable-looking copy. And it's a book that is more than 50 years old. There are 76 1.8s in the census. Compare that with the 2,320 NM98 9.8s in the census! 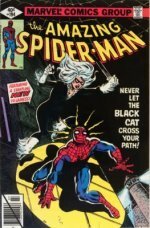 ...or Amazing Spider-Man #14 7.5! With a Venom movie on the way, Amazing Spider-Man #300 is more important than ever... But surely eclipsed by THE Spidey villain, the Green Goblin in ASM #14? The average copy of an Amazing Spider-Man #14 (1st Green Goblin) is about 3.0. 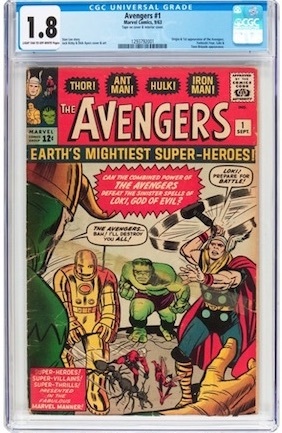 So owning a FN-VF copy like this CGC 7.5 example is great -- and costs the same as the 1988 book! Yes, Venom is a key villain, and soon to appear in a dedicated movie. 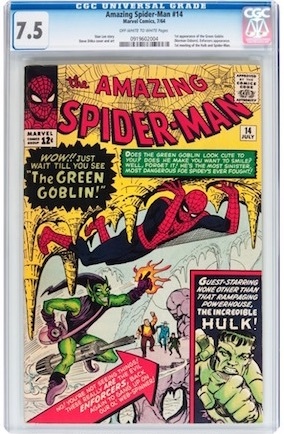 BUT the Green Goblin is THE Spidey villain, and owning a 7.5 is well above average for this classic first appearance. Harley Quinn is THE DC Universe villainess, with tons of potential for future projects... But Poison Ivy predates her by 25 years, and is long overdue for the big screen! With the average Batman #181 arriving without its centerfold poster and covered in wear and creases, this VF-NM example is a great investment, with future upside potential. First appearance of Harley Quinn: definitely cool. First appearance of Poison Ivy: MUCH cooler, way rarer in high grade, and 30 years earlier! ...or TMNT #1 1st Print 7.0! How long will AMG's Walking Dead franchise continue? A CGC 9.8 is currently a depreciating asset. Meanwhile, Turtlemania shows no signs of slowing down. 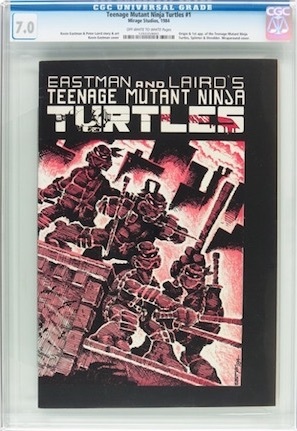 Rare and very cool, Teenage Mutant Ninja Turtles #1 1st printing is a much better place to park your cash. This 7.0 is about the same price as the WD #1. 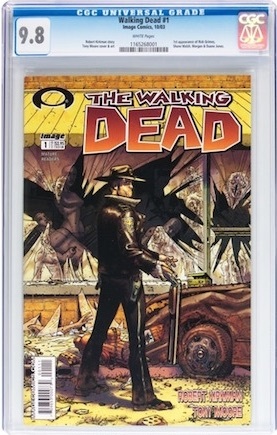 Walking Dead is dropping in value all the time (though a new season will bump it back up in value), while Turtles #1 is a classic 1980s key issue, printed in low numbers, and hotter than ever, with new records being set in most grades! ...or Amazing Spider-Man #1 4.0! Ya, it's an AF #15. But it's a dog. If this is the best you can afford, then commend yourself with your good taste by buying a nice VG copy of ASM #1 instead. 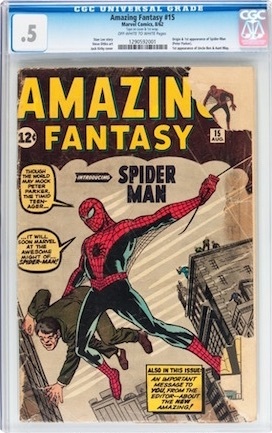 Rising in value as Amazing Fantasy #15 gets priced out of range for most collectors, Amazing Spider-Man #1 in VG looks great and is almost as important a book. Yes, everybody wants to own a first appearance of Spidey. But... do you want to own a dog? Really? When you could have a really nice VG copy of his first dedicated series book? 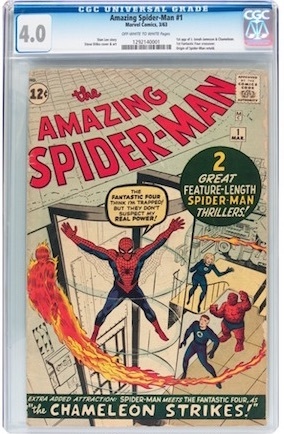 ASM #1 is rising in value as people are getting priced out of the AF #15 market. It's a great time to get your copy. ...or Silver Surfer #1 8.5! 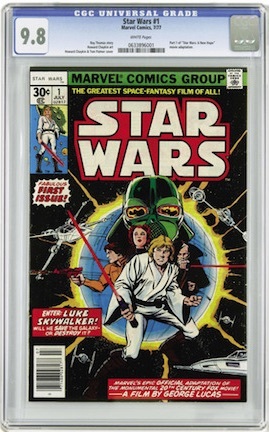 Star Wars #1 in CGC 9.8 looks great, but is a common issue. 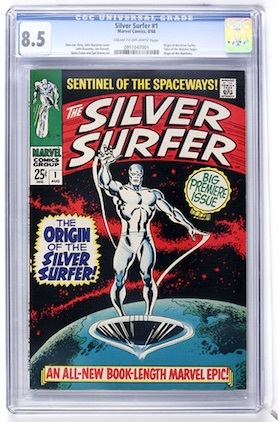 Silver Surfer #1 is just as important, earlier and rarer in high grade. Surely only a matter of time before Silver Surfer gets a proper movie treatment? 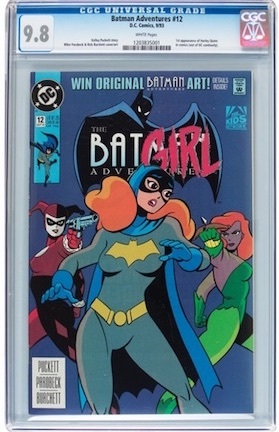 This #1 in CGC 8.5 is WAY nicer than average, and a better investment than the SW #1. We decided to stick to a grand Space Opera theme with this comparison. Yes, Star Wars has (so far) been a more consistent presence in popular culture than Silver Surfer, but it only takes a Fantastic Four equivalent to Spider-Man: Homecoming for Marvel to get its ducks in a row on the herald of Galactus. There are 435 9.8s of SW #1 in the census. Compare that with 169 SS #1 8.5s, and you can see which book is scarcer. Less than 10 years separate these books in the Marvel universe, but Star Wars feels like a 'warehouse' book -- while Silver Surfer seems scarcer and more desirable. ...or Tales to Astonish #13 4.5! 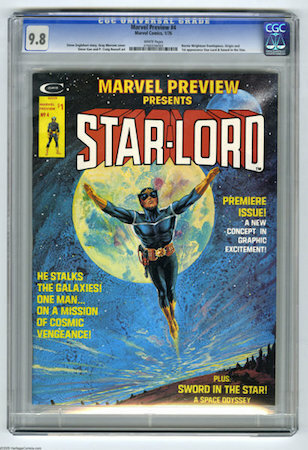 A great book to own but MUCH more common than you'd expect, Marvel Preview #4, the first appearance of Star-Lord is nowhere near as important as the first appearance of Groot. 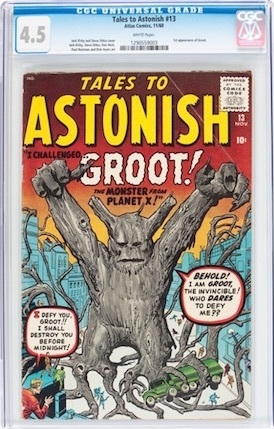 Tales to Astonish #13 is the first appearance of Groot. Not common in any grade, we recommend it as a better investment than a high-grade Marvel Preview #4. Sure. The first appearance of Star-Lord is huge in the Guardians of the Galaxy movie series, and it's a desirable book to own. Magazines by their nature tend to survive the ravages of time better if well cared-for, and the 76 copies certified by CGC (so far) in 9.8 show it is far from scarce in top condition. Contrast this with the first appearance of Groot, the talking tree. Published in 1960, this Atlas title has only 226 copies certified in ANY condition. Owning a book in the 4.0 to 4.5 range means you won't have a dog -- and the return on your investment is highly likely to be better in the long run, especially as Groot seems destined for standalone projects. 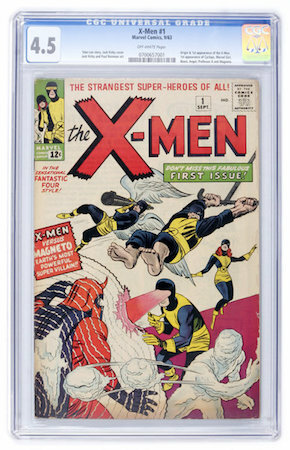 A beautiful book, but is an X-Men #94 CGC 9.6 more special than owning an X-Men #1? 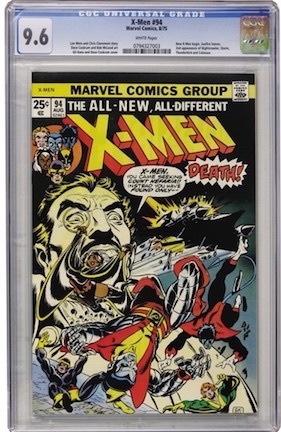 We would FAR rather own this VG+ copy of X-Men #1 than a high-grade Bronze Age book like X-Men #94. The relaunch issue that brought X-Men out of retirement, and introduced Wolverine to the super-team of mutants, is undeniably a vastly important book. Buying a 9.6 puts you in the top bracket of ownership in this key issue, without exposing you to the extreme cost of a CGC 9.8. But can even the X-Men #94 be anything like as important or desirable as owning the book which begins the series? Not in our opinion. A nice copy in the VG range means you'll be able to truly appreciate the joy of owning a true Marvel mega-key. 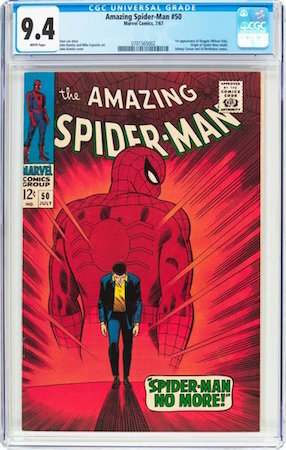 Another cunning switcheroo play sees you able to own a high-grade copy of the SAME book -- plus another key issue in the ASM run! 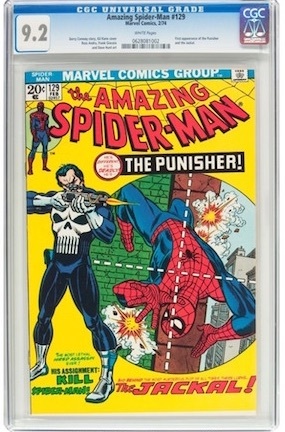 Yes, the first appearance of the Punisher is a huge key, and should be on everybody's want list. But do you really need to tie up all your money in a CGC 9.8? 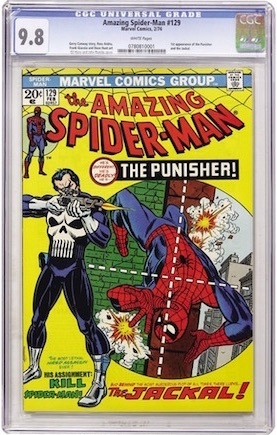 A superb book, and vitally important as the first Punisher appearance, but why spend all that money on a CGC 9.8? You could own a 9.2 AND a copy of ASM #50. ...Own an even greater (and much rarer) copy of Amazing Spider-Man #50, a book which features the first appearance of Kingpin. This book normally resembles a dishrag. Buying a 9.2 gives you a gorgeous-looking copy. PLUS you will be able to own a 9.4 of the first appearance of Kingpin -- perhaps not quite the same magnitude of villain, but certainly a rarer and earlier issue which seldom turns up in nice shape. Anybody with means can write a check. It takes brains to think of different ways to spend the money. This is one great example of a compromise that doesn't feel like one. ...or Detective Comics #359 9.0! Ra's al Ghul has had his time in the limelight with the Dark Knight movie series. 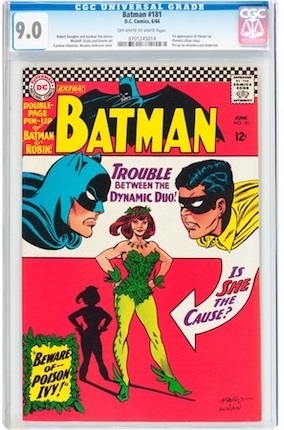 While this classic Neal Adams cover is great to look at, there is so much more potential in the first appearance of Barbara Gordon as Batgirl. A classic Neal Adams cover, Batman #232 is a very important key issue comic... but it's not as important as Tek #359 in our opinion. 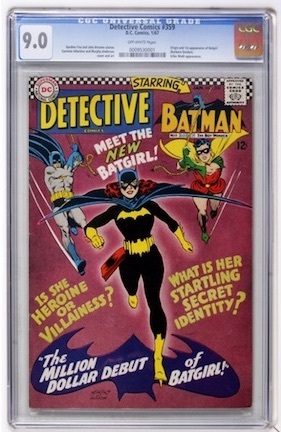 Another book which commonly shows up around VG shape, Detective Comics #359 is a great investment in VF-NM condition. Prices are on the rise. 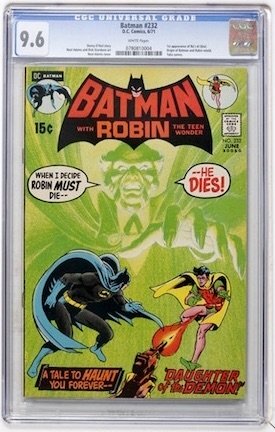 Batman #232 was one of the biggest losers of the Bronze Age implosion (click to read more), while Detective Comics #359 is rising fast in value. 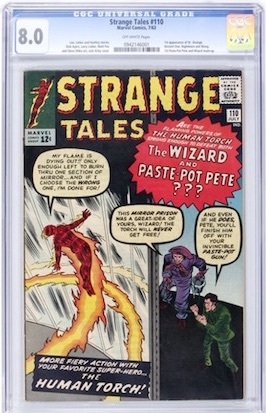 ...or Strange Tales #110 8.0! Here's a great way to leverage a high-end investment in a character. 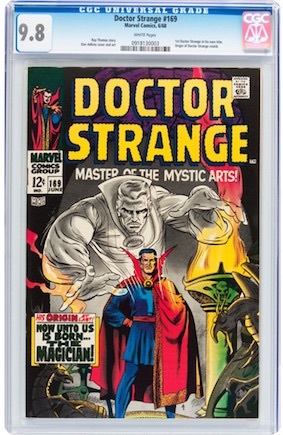 Doctor Strange #169 is a rare book in CGC 9.8. Owning a copy would be undeniably awesome. But his first appearance in Strange Tales #110 is much scarcer. A true scarcity in grades above VG, Strange Tales #110 is the first appearance of Doctor Strange, and much more special in VF condition for the same money! With only around 130 copies graded 8.0 or above, this book is more often seen in GD-VG shape and covered in creases. A character's first appearance, 99 percent of the time, is going to be of greater lasting interest than any high-grade example of other key issues they appear in. We recommend books to buy about twice per month. Join more than 6,000 investment-minded comic book fans! 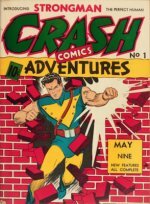 Want to get a FREE online comic book appraisal? Come to Sell My Comic Books!